Business owners along Madison debate bicycle lanes. A new proposal to add bicycle lanes along Madison Avenue from Cleveland to Cooper is bringing back bad memories for some business owners along the Midtown strip. In 2003, the Memphis Area Transit Authority ripped up the avenue west of Cleveland to install the Madison trolley line. Construction took longer than expected, and some business owners blamed the project for a drop in patronage. Now some are worried that proposed bike lanes could have the same effect. "We have hundreds and hundreds of jobs through here, and when you take away traffic flow, sales drop and jobs go away," said Mike Cooper, owner of the dry cleaning business Mercury Valet Service Inc. on Madison. "Once they started [construction of] the trolley line west of me, we went from 17,000 cars a day to 12,000." Cooper spoke against adding bike lanes along Madison at a public meeting hosted by the city engineer's office last week. Madison Avenue is scheduled for repaving this year, and the city plans to add some form of bike path. The city is considering three options. One would add signage along Madison encouraging drivers to share the road with bicyclists. Another would add signage plus painted arrows to show cyclists the safest route. But the bicycle advocacy community favors the third option, which would take away one lane of traffic in each direction, add a turn lane, and create designated bicycle lanes along both sides of the street. Anthony Siracusa, founder of Revolutions Community Bicycle Shop, said the bike lane plan also should create additional on-street parking. He said repaving will not require the city to close the street, as was the case during trolley construction. "The trolley was implemented on a stretch of Madison, which is not the section in question now. But that impact alone on business owners who aren't even a part of this debate has led to a lot of fear," Siracusa said. Some business owners, like Cooper, also have expressed concern about the possibility of reduced traffic flow along Madison. Others, like Jared McStay, owner of Shangri-La Records, believe reducing traffic lanes might cause cars to slow down. "I don't think bicycle lanes will take traffic away, but it may slow traffic down. That's a good thing," McStay said. City bike/pedestrian coordinator Kyle Wagenschutz said the turning lane would counteract any slowing of traffic. "Adding that turning lane is key to all of this. If we went from four lanes to two lanes without a turn lane, we'd see a dramatic negative effect on traffic flow," Wagenschutz said. "But having the turn lane keeps traffic flowing at much the same rate it does today." Siracusa said business owners who oppose bike lanes are probably afraid of change. "We're emerging from the bowels of the Great Recession of 2008," Siracusa said. "If you're operating a business at a 3 or 4 percent margin, you're concerned about what a change may mean. 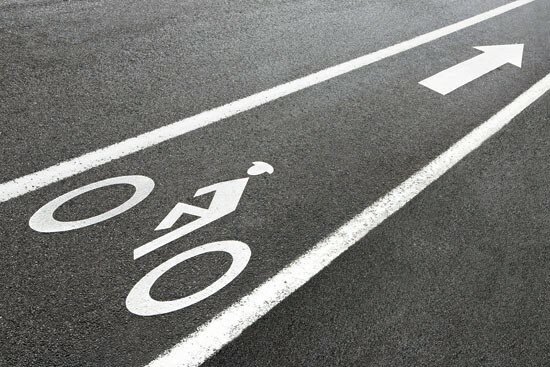 But business districts around the country have implemented bicycle lanes, and it improves the revenue for businesses in and around the area where the lanes were added." Wagenschutz said the city would determine which option to move forward with based on the input gathered at last week's meeting. The repaving project should begin in the spring or summer. Although some business owners object to the project, others fully support the addition of bike lanes. "The trolley was a bad experience for people at the other end of the street, but this won't be like that," said Chuck Skypeck, co-founder of Boscos Squared on Madison. "Bicycle lanes make for a more livable neighborhood. In the long term, this is great stuff."